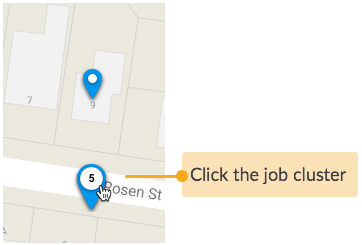 Go to the Jobs area and choose your preferred view of jobs, either in a list or on a map. 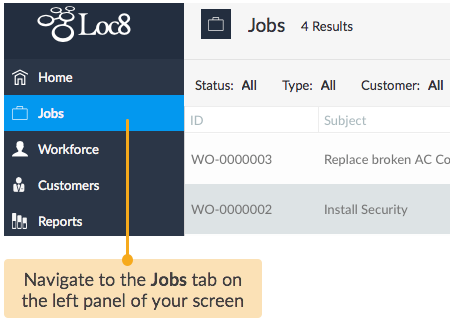 You may add or remove job attributes displayed on the column header to suit your preference of viewing jobs. NOTE: The customised view of column headers will reset to default once you've logged out. You can switch to Map view for visual overview of job distribution across a region. 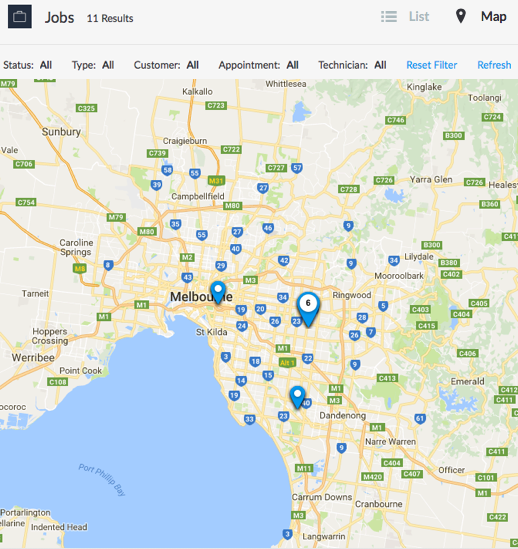 Viewing jobs on a map brings out the spread of jobs across locations, including the job clusters when there are multiple jobs at the same location. 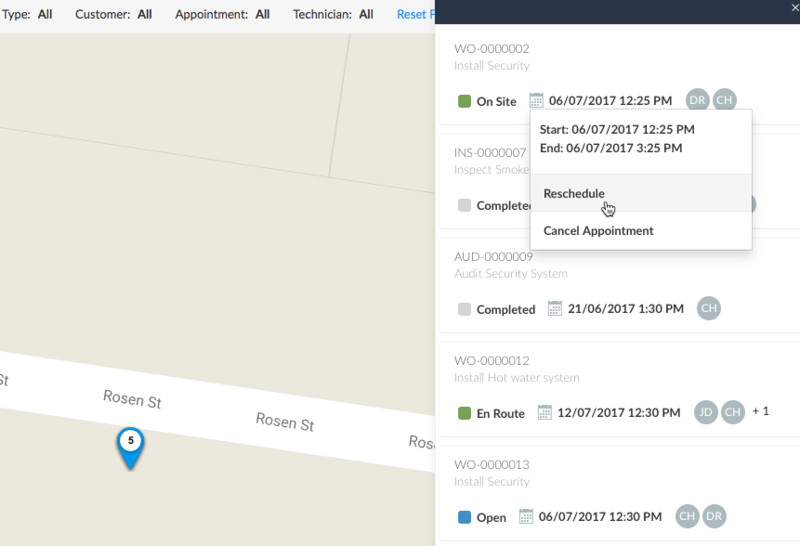 Clicking on the job clusters presents you with job cards showing job status, appointment and technician availability - review and make quick changes to them right from the job card. If you wish to edit any other attribute, click the job card, and that will open up the job inspector. 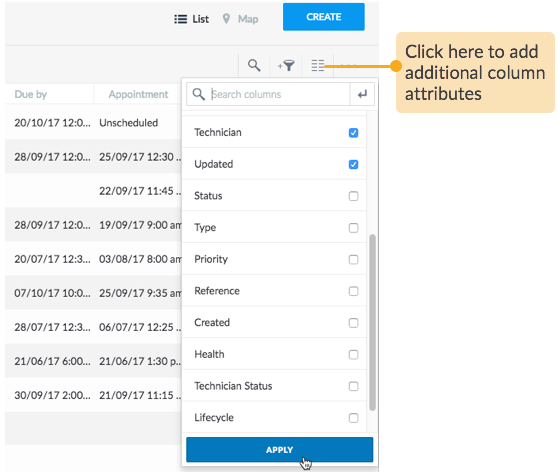 Whether you're in the List view or Map view, you'll be able to filter jobs, execute bulk deletion and bulk change of job status, as well as update field data on jobs as discussed further on in this article. To filter jobs, as well as to sort the view or search for a record from a pool of jobs, please read Smart views through Sort, Filter and Search.